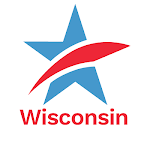 Public broadcasting has been the only statewide medium in Wisconsin since the Journal Communications Company quit distributing and reporting beyond mostly Milwaukee. The Madison papers never ranged much beyond Dane and adjacent counties. All the other local papers everywhere in Wisconsin are, of course, local. Radio and TV are now, always have been, always will be regional, parochial media. They are in the business of delivering viewers to advertisers, and all of their advertisers are local. So all that’s left is the two Wisconsin Public Broadcasting networks. A thin reed. It appears that the people in charge there regard what I see as an opportunity more like a problem. An expensive one. The programming on public TV is revealing. In a given week a viewer can get a half hour every weekday of the British Broadcasting Corporation, an hour a day of national news from the Lehrer Report, and one-half hour a week of Wisconsin news from Frederica Freyberg. This is Wisconsin Public Broadcasting? Obviously the system has nowhere near enough money to put on a Wisconsin version of say the Lehrer Report every weekday. What if WPB set itself up as sort of an Associated Press for all the private broadcasters in the state? The network could set aside the necessary airtime--a half hour or an hour every weekday--accept feeds from any and every TV station (commercial as well as public) and put together a daily report of the top stories in and about Wisconsin? The technology makes this possible. Would the feeding stations feed? Why not? They would gain in prestige and reach and still be able to deliver their daily dose of local news, sports, and weather for their local advertisers. The big winner would be the state, the public as it were. Ideas, candidates, events would have a statewide stage again. It’s not the same as getting the Journal company to cover and distribute everywhere again, but it does bring TV’s version of journalism to a statewide audience. Common ground can be plowed again. Common causes could be surfaced and tested. Getting a daily look at our diversity could be the route to bringing the things that unite us into focus. What we have lost sight of is the ways and reasons we are interdependent. The Milwaukee papers did this for us once. Public TV can do it again. A place for usTweet this!